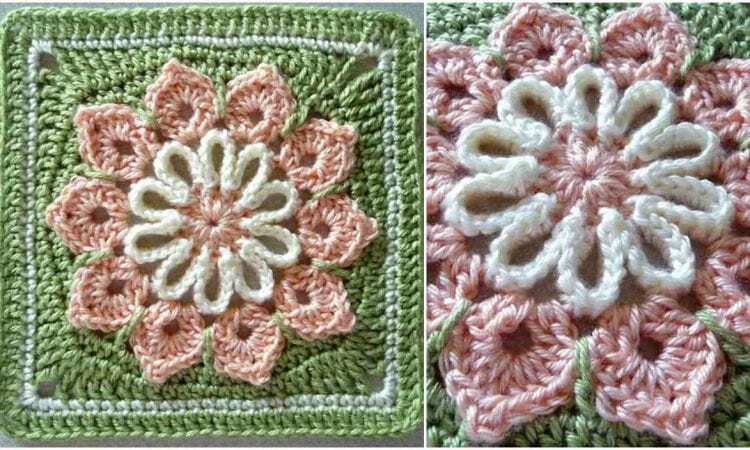 This afghan square pattern is easy, but just difficult enough to challenge the beginner and produces a beautiful motif that can be worked into an afghan, throw or blanket. The square is 9 inches to a side and is made in three shades of worsted weight yarn and an H hook. You can vary the size by changing the weight of the yarn, the hook size and yarn tension. Link to a free pattern is below.